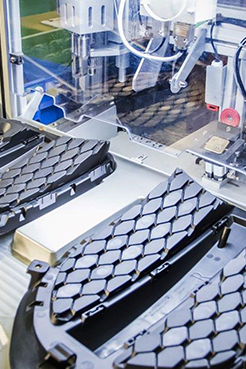 A leading specialist plastic injection moulding and assembly company located in the UK. Plastic injection mouldings and assembly, supported by a full project engineering function. We take programs from CAD models to mass production, supporting the customer throughout. 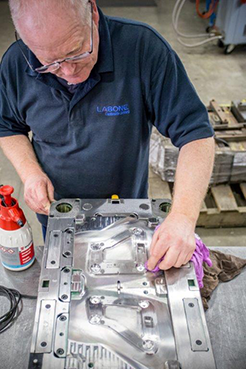 Liaising with our tool makers we use Mouldflow analysis to ensure optimum tool and part design before making a tool, to reduce the risk of correction loops. Logistic, storage and packaging solutions. We utilise modern technology from EDI to A.S.N., including barcode verification process allowing unique traceability to the customer. Our customers rely upon us to ensure a smooth product introduction – Service is a huge part of what we do! That is why we develop relationships with the customers. Team work is paramount to our success. 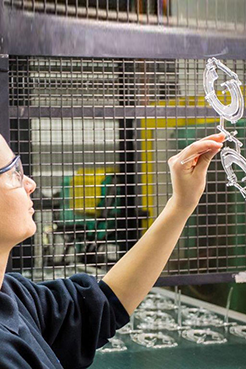 Our Engineering team have extensive knowledge and experience within the plastics and automotive industry and work very closely with customers to develop the product to match or exceed their expectations. A first class project management service from initial concept with the customer right through to SOP, ensuring all customer specifics and milestones are achieved in a controlled and cost-effective process against tight lead-times. The plant list covers over 30 machines spanning a tonnage range from 50T to 1080T. In addition, a wide range of assembly stations unique to customer requirements are established with full fault prevention auto checking. An extensive range of materials are processed and controlled within established protocol. New procedures are constantly being added as we continue to meet the ever changing market place and the need for more visual high-quality parts. Working a 5 day 24 hour operation with 3 shift cover the maximum time is allocated to schedule achievement through effective schedule control and change over optimisation. We operate a well-equipped Moulding facility able to manufacture high quality, high volume product to exacting standard. Our aim is to be the voice of the Customer and maintain all the expected quality standards and requirements. “Right first time”. We always strive to work closely with our customer and supply base to achieve product excellence. Our product approval process (1st off, last off and in-process audits) ensures we meet all customer requirements. We monitor and control key elements of the product through SPC, gap and flush, CMM measurements, Colour matching, in-process gloss controls and other measurements tools. We always take a team-based approach in all problem-solving tasks using a number of quality tools such as 8D, Fishbone analysis, 5 Why’s, QRQC, Cap studies, MSA and PFMEA. Labone Castleside are proud of the work we produce. Our attention to detail and exacting standards are only part of what makes us #1. If you want to know more about how we can help your business.